I'm trying to write Unit Tests. Because I have to wait till some data arrived from network and a signal triggers, I want to use qWait. 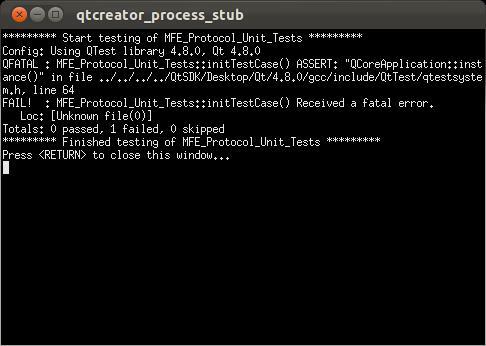 But everytime I use qWait I get this error, even when there is nothing but qWait in the code. I have added testlib to my .pro file.